Hallway coat hooks are really a wonderfully simple invention. We know that they have been around for a long time but we still regularly look at them and realise that even though they are so simple they really are very useful. Sure it might be less cluttered if you had a cupboard to hide things away in but then finding the things you want can become a bit of a chore. The fact that your items are hanging there on display just makes it so much easier to find them. Particularly if you are in a bit of a hurry and rushing out the door. 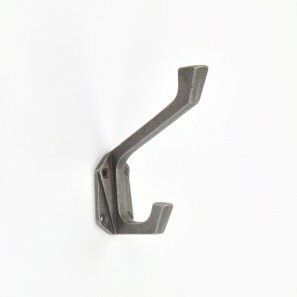 We must admit there have been one or two times when we have seen hallway coat hooks that have become so festooned with items that it has not been easy to find things in the layers underneath but that is soon fixed by the cast iron authority of the establisher of house rules. Usually the lady of the house in our experience. And we have collected a variety of styles that you are able to choose from. In our experience, people can be a little rough on their coat hooks and if things do not slide off easily then they could be subjected to a bit of an impatient tug. There are many styles that are very solid, resilient and interesting to look at. This more rustic style may not appeal to every householder though. 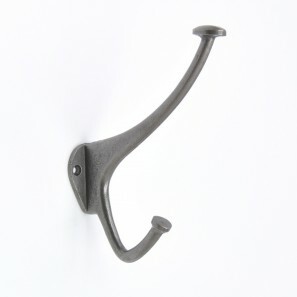 If you have an elegant house then a chunky black coat hook may not really fit in with the décor. 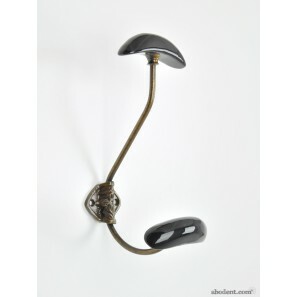 But we are confident you will be able to find many other hallway coat hooks in our collection that have a more refined style and design. 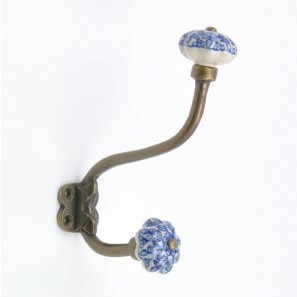 There are some very elegant and decorative coat hooks that are able to lift your front entry area. Some with a traditional look and others that add a more modern touch. This entry was posted in Articles, Guides and tagged coat hooks on December 3, 2017 by abodent.com. This entry was posted in Articles, Guides and tagged coat hooks on June 17, 2017 by abodent.com. This entry was posted in Articles, Guides and tagged coat hooks on June 10, 2017 by abodent.com. 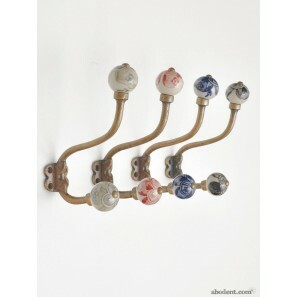 This entry was posted in Articles, Guides and tagged coat hooks on May 3, 2015 by abodent.com. 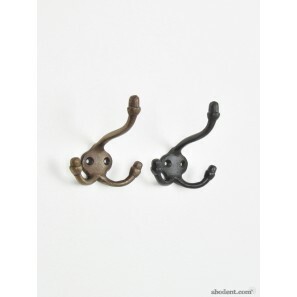 This entry was posted in Articles, Guides and tagged coat hooks on January 25, 2015 by abodent.com.